Our range of products include biofiber tape (arthroscopic implants), fibers & tapes (orthopedic implants) and biofiber. Banking on the skills of our qualified team of professionals, we are involved in offering superb quality biofiber tape of ultra-high strength. This tape is using a similar long chain polyethylene structure as the biofiber suture. This tape finds wide applications in orthopedical surgeries like in AC joint reconstruction. It is quality tested at each and every stage of manufacturing process. In addition to this, our biofiber Tape is appropriate for repairs in degenerative cuff tissue where tissue pull-through may be a concern. We are a most trusted name amongst the topmost companies in this business, instrumental in manufacturing high quality array of Fibers & Tapes. 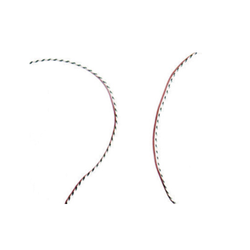 A suture tape construct is made of braided high strength surgical suture material. This tape is a substitute used for surgical suturing material, may overcome many problems of grafting smaller nerve fibers. Fiber suture is constructed of a multi-strand, long chain ultra-high molecular weight polyethylene core with a braided jacket of polyester and that gives Fiber superior strength, soft feel and abrasion resistance that is unequaled in orthopedic surgery. A major advancement in arthroscopic surgery can be witnessed with the use of Biofiber.